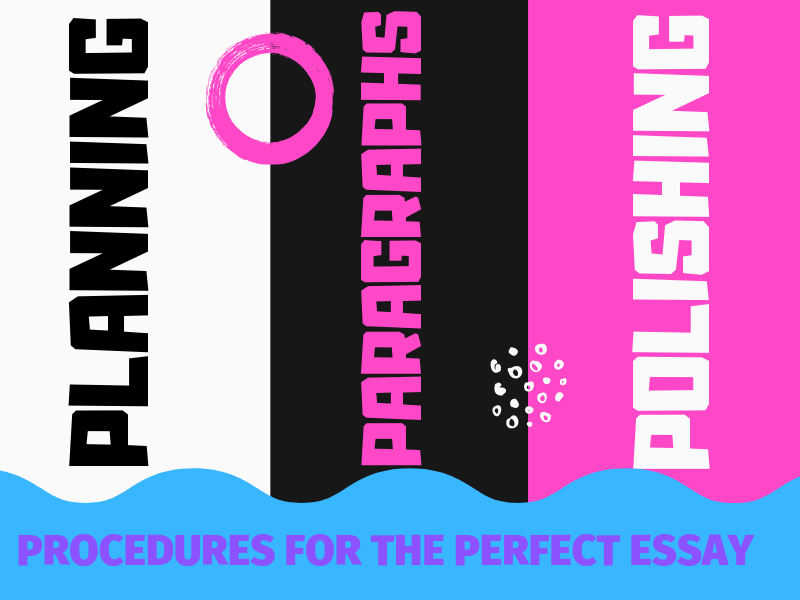 A complete guide to ensure your essay writing is planned, polished and proofread to an excellent standard. Tools and resources for teachers and students. Essay writing is an essential skill for every student. Whether writing a particular type of academic essay (such as persuasive, narrative, descriptive, or expository) or a timed exam essay, the key to getting good at writing is to write. Creating opportunities for our students to engage in extended writing activities will go a long way to helping them improve their skills as scribes. But, putting the hours in alone will not be enough to attain the highest levels in essay writing. Practice must be meaningful. Once students have a broad overview of how to structure the various types of essay, they are ready to narrow in on the smaller details that will enable them to fine-tune their work as a lean vehicle of their thoughts and ideas. In this article we will drill down to some of the aspects that will assist students in taking their essay writing skills up a notch. Many of the ideas and activities can be integrated into broader lesson plans based on essay writing. Often, though, they will work effectively in isolation - just as athletes isolate physical movements to drill that are relevant to their sport. When these movements become second nature, they can be repeated naturally in the context of the game, or in our case, the writing of the essay. 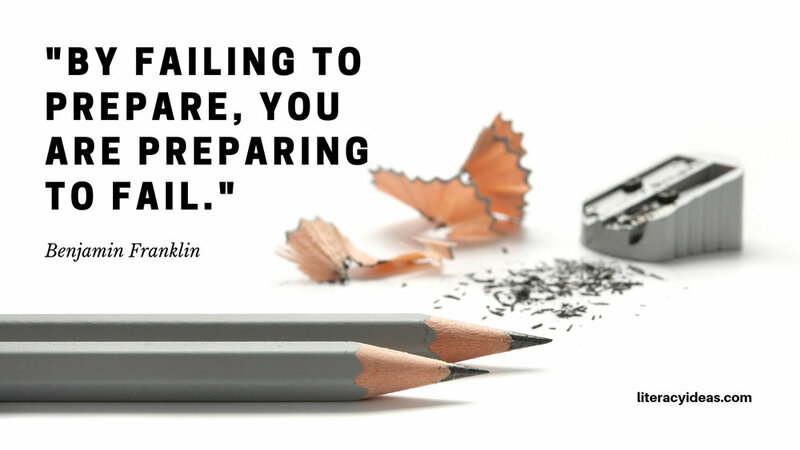 The Boys Scouts’ motto is famously ‘Be Prepared’. It’s a solid motto that can be applied to most aspects of life; essay writing is no different. Given the purpose of an essay is generally to present a logical and reasoned argument, investing time in organising arguments, ideas, and structure would seem to be time well spent. Break The Question Down: Whether students are tackling an assignment that you have set them in class, or responding to an essay prompt in an exam situation, they should get into the habit of analyzing the nature of the task itself. To do this the should unravel the meaning of the question or prompt. Students can practice this in class by responding to various essay titles, questions, and prompts thereby gaining valuable experience in breaking these down. Have students work in groups to underline and dissect the keywords and phrases and to discuss together what exactly is being asked of them in the task. Are they being asked to discuss, describe, persuade, or explain? Understanding the exact nature of the task at hand is crucial before going any further in the planning process, nevermind the writing process. Brainstorm and Mind Map What You Know: Once students have understood what the essay task is asking of them they should consider what they know about the topic and, often, how they feel about it. When teaching essay writing we so often emphasize that it is about expressing our opinions on things, but for our younger students what they think about things isn’t always obvious, even to themselves. Brainstorming and mindmapping what they know about a topic offers them an opportunity to uncover not just what they already know about a topic, but also gives them a chance to reveal to themselves what they think about the topic. This will help guide them in structuring their research and, later, the essay they will write itself. When writing an essay in an exam context, this may be the only ‘research’ the student will be able to undertake prior to the writing, so practicing this will be even more important. ● Identify the overarching argument they will make in their own essay. Once these stages have been completed the student is ready to organise their points into a logical order. There are a number of ways for students to organize their points in preparation for writing. They can use graphic organizers, post-it notes, or any number of available writing apps. The important thing for them to consider here is that their points should follow a logical progression. This progression of their argument will be expressed in the form body paragraphs that will inform the structure of their finished essay. The number of paragraphs contained in an essay will depend on a number of factors such as word limits, time limits, complexity of the question etc. Regardless of the essay’s length, students should ensure their essay follows the Rule of Three in that every essay they write contains an introduction, body paragraphs, and a conclusion. Generally speaking, essay paragraphs will focus in on one main idea that is usually expressed in a topic sentence that is followed by a series of supporting sentences that bolster that main idea. The first and final sentences are of the most significance here with the first sentence of a paragraph making the point to the reader and the final sentence of the paragraph making the overall relevance to the essay’s argument crystal clear. Introduction: Provides the reader with context for the essay. It states the broad argument that the essay will make and informs the reader of the writer’s general perspective and approach to the question. Body Paragraphs: These are the ‘meat’ of the essay and lay out the argument stated in the introduction point by point with supporting evidence. Conclusion: Usually the conclusion will restate the central argument while providing a summary of the essay’s main supporting reasons and before linking everything back to the original question. ● Transition words and phrases such as alternatively, consequently, in contrast should be used to give flow and provide a bridge between paragraphs. Students shouldn’t expect their essays to emerge from the writing process perfectly formed. Except in exam situations and the like, thorough editing is an essential aspect in the writing process. One Piece at a Time: There is a lot to look out for in the editing process and often students overlook aspects as they try to juggle too many balls during the process. One effective strategy to combat this is for students to perform a number of rounds of editing with each focusing on a different aspect. For example, the first round could focus on content, the second round on looking out for word repetition (use a thesaurus to help here), with the third attending to spelling and grammar. Sum It Up: When reviewing the paragraphs they have written, a good starting point is for students to read each paragraph and attempt to sum up its main point in a single line. If this is not possible, their readers will most likely have difficulty following their train of thought too and the paragraph needs to be overhauled. Let It Breathe: When possible, encourage students to allow some time for their essay to ‘breathe’ before returning to it for editing purposes. This may require some skillful time management on the part of the student, for example a student rush-writing the night before the deadline does not lend itself to effective editing. Fresh eyes are one of the sharpest tools in the writer’s toolbox. Read It Aloud: This time-tested editing method is a great way for students to identify mistakes and typos in their work. We tend to read things more slowly when reading aloud giving us the time to spot errors. Also, when we read silently our minds can often fill in the gaps or gloss over the mistakes that will become apparent when we read out loud. Phone a Friend: Peer editing is another great way to identify errors that our brains may miss when reading our own work. Encourage students to partner up for a little ‘you scratch my back, I scratch yours’. Use Tech Tools: We need to ensure our students have the mental tools to edit their own work and for this they will need a good grasp on English grammar and punctuation. However, there are also a wealth of tech tools such as spellcheck and grammar checks that can offer a great once-over option to catch anything students may have missed in earlier editing rounds. Putting the Jewels on Display: While some struggle to edit, others struggle to let go. There comes a point when it is time for students to release their work to the reader. They must learn to relinquish control after the creation is complete. This will be much easier to achieve if the student feels that they have done everything in their control to ensure their essay is representative of the best of their abilities and if they have followed the advice here, they should be confident they have done so.